Welcome To Nancy’s Circle Of Friends! Parents’ Choice Award Winner Nancy Levy is a singer, songwriter who believes that children’s music is not just for kids. 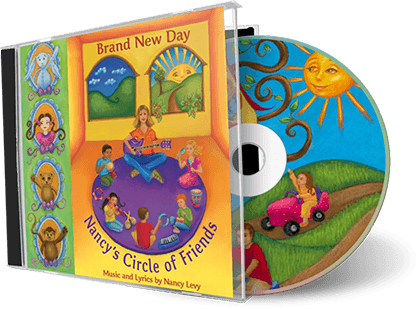 Nancy invites the whole family to join her “Circle” as we dance and sing along with her award winning children’s music CDs. 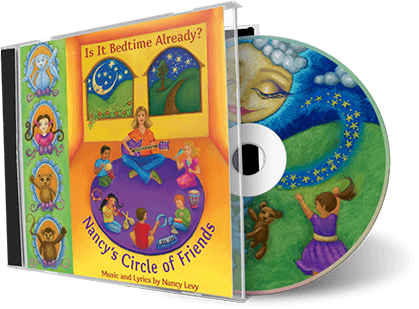 As an early education/preschool music teacher in the Los Angeles area for over 25 years, Nancy’s music has touched the lives of thousands of children. Nancy is delighted to welcome you to her Circle of Friends! 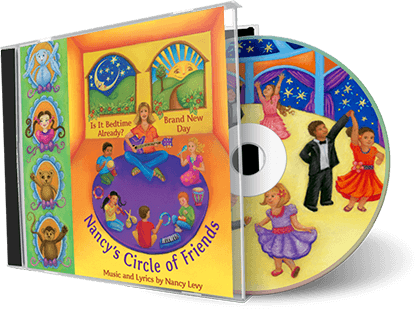 Join Nancy and her Circle of Friends in this playful, imaginative and interactive celebration. Come share in the fun as we sing, dance, hop, fly, leap, twirl and moo our way through each and every day! Nancy’s Circle of Friends Presents “Carry My Love”, a family song to benefit military children whose parents are away for long periods of time. 100% of the proceeds from this download will go to Operation Gratitude. To read more about this project and Operation Gratitude, please visit our news page.